Do you dream of dragons, understand Klingon, or consider Pocky your favourite snack? Do you wish there was a book that mashed your faith and fandom together? From Doctor Who to The Lord of the Rings, fiction has shaped our culture and can point the way to what is holy if we dare to look. 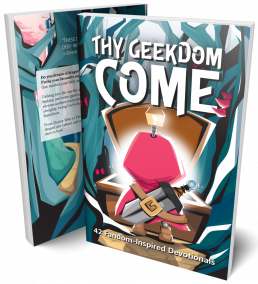 Delving into the worlds of superheroes, science fiction, anime, fantasy, and video games, Thy Geekdom Come—written by a group of authors and pastors from a variety of Christian backgrounds—relates these stories to an almighty, loving God who is ever present in our beloved franchises. 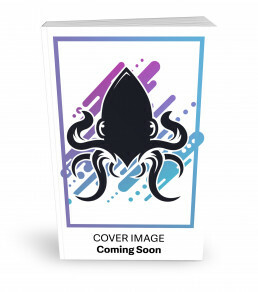 Delving into the worlds of superheroes, science fiction, anime, fantasy, and video games, Thy Geekdom Come—written by a group of authors and pastors from a variety of Christian backgrounds—relates these stories to an almighty, loving God who is every present in our beloved franchises. Pop culture has a lot to say about life, social justice, ethics, and the way we view the world. Compiled of essays on TV, movies, video games, and anime, this book delves into subjects like identity, depression, feminism, addiction, and, of course, robots. The authors respect Christian ideology, but Area of Effect is meant to promote deep thoughts on important topics, regardless of religious beliefs.